You’re a genius! Thanks a million! Sorry, same error still happens for me. I copied the file in two locations and even did the HOTFIX, nothing seems to work. I’m using Windows 7 64bit, connecting to a Windows 2000 print server. I’ve only tried the fix with XP and 7 as the print server. I haven’t even seen Win 2k in years. If you do manage to figure it out, I’d love to know what the prob is! ms stopped the download for hotfix kb982728 at the moment, maybe for the sp1 rollout? whatever.. thanks! We encountered the 0x07e Cannot Connect to Printer error when adding a HP LJ 4050 on a Win7 x64 w/SP1 from a 2008 Print Server. (Problem did not occur on all Win 7 machines) Even though the machine was at SP1, the dll referenced above didn’t exist so we tried copying it over without success. What ended up working for us was opening MMC on the problem PC, adding in the Print Management snap in for ‘local’ server (computer name of the problem PC), navigating to drivers and deleting the driver package. In our case, this was the “HP Universal Printing PCL 6 (v5.2) which was being used on the network print server for LJ 4050. Rebooted the machine and could then add the HP LJ 4050 as a network printer. It appears that the driver package had been downloaded to the local machine but for some reason Windows could not connect to the printer…corruption during install?? Removal of the driver package from the local PC did it for us. Thanks for posting this, the solution worked for a local shared printer issue I had to deal with today. We had the same problem with the Universal print driver from HP. and delete the “copyfiles” key in full. Tried to add the printer again and it worked no probs! Thank you. You’re a life saver. The fix worked perfectly. Thank you SO MUCH!! Great work-around! It didn’t work on my “regular” driver, but it did work on (Copy 1)…who knew? Thanks, this worked for us. Was my last step, tried all of the others first. This worked…Thanks Again!!! Unbelieveable!!! I have been working on this for two days. Now on to something else. Amazing!!! What is it with M$? If technet used something like a half decent search engine it might help.This fix worked perfectly 1st time on W7 64bit SP1 against an SBS2008 server. Wow! I have had an issue with multiple printers not installing for a few weeks now. Other solutions that talked about moving dll files around and editing other parts of the registry did not work. This one worked perfectly and the result was immediate. Thanks a lot time saver. I was trying to install a Xerox 430 printer on a client’s machine running Windows 7 64-bit. The mscms.dll file you mentioned was not in that folder so I was at another roadblock. What do you do if that file does not exist? Hmm. I’m afraid I dunno! saved me hours of troubleshooting, for some reason this worked. thanks! This worked perfectly for me in Windows 7 SP1. It also worked in a VM where I defined a shared printer connected to another computer on the network. Many thanks! Thanks actually that printer driver location helps me to copy the files from working system, after i tried to add the printer from network commonly and it is added. This resolved my issue perfectly! Thanks a lot. Hello guys..I solved this problem in a very simple way. Try accessing the host pc by ip address and not by name. 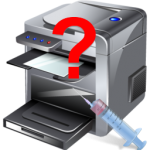 After that when you will connect to the printer then it will install the drivers automatically without giving error 0x000003e3. Awesome dude! I knew there had to be a workaround. I could print sometimes, sometimes not. You got it spot on. Thanks a million! I love you man. Seriusly i love you. If you ever come over to Athens Greece mail me up on FB (Billy Tsik). I want to buy you a beer. Hi Scottie. Read the threads with interest and was impressed with the work you do here. My problem is that after my hard disc “died” and was replaced, i tried to back up my computer onto a new external disc. It was stopped with the dreaded 0x00000709 error. Tried your fix but it still came up with the same error. So I rebooted, leaving the external disc in and was automatically allowed to back up. Thank goodness – I’m in a bushfire alert area at the moment. However when i clicked the “View Details” box, the error cropped up again!!! Needless to say I ignored it and carried on. Back up still seems to be continuing, so fingers crossed. You got a printer error while running a backup?? That’s bizarre. I’m not sure what’s going on in that case, although it’s possible something else is screwed up and the 2 problems are not necessarily tied together. Thanks, Scottie, that may well be the case, but as my backup went without a hitch and my printer(s) are still working well, i am quietly going to ignore the issue unless it raises its ugly head again. Ciao Carrie. THANK YOU. i still have not tested this but the fact that you took the time to sit down and write the solution for us to find is a testament to your great charcter. i have been plageued with this problem for two months on my new work station and if this works its a salvation. you are one great human being. So the the issue I had is a printer I had previously had installed and reinstalled and I got this error. In order to fix my problem I searched “Print Management” looked for the drivers associated with the printer. Removed them. (If I had problems removing a driver restarted the print spooler service resolved that issue). Reinstalled the network printer and it worked. thanks brother,you are genius ! we should do this procedure in server computer which the printer is shared from it to the network or in client computers. i have an shared printer in network when i want to connect myself to this printer it gives me an error operation could not be complete what should i do. Thnaks Scott. Your trick solved my 0x000003e3 error while trying to connect a Win7 laptop to a network print queue. I’ve been spending hours since yesterday trying to find a workaround and yours did it. Copying dll file helped – great tips here! Couldn’t find anything better!!! I Fixed it by adding another printer in the network then I return back to add my printer, IT’s WORKED. Hello GENIUS, thanks from Argentina. I was a complete day trying to solve this problem. You’re the King !!!! Tried your fix and also the fix with the MMC that was mentioned and I still get the Windows cannot connect to the printer. Some driver files are missing or incorrect…. Any other ideas? thanks a bunch, I’ve been trying to solve this problem for weeks, this is about the fiftieth fix I’ve tried and it worked! Hold it – maybe my Home Premium is 64-bit! Forgot to check … not my laptop so not 100% certain of the spec. I’m not sure if this fix works on Vista. You never know what they changed between Vista and 7. I am running Windows 7 x64 wth SP1 and updates up to date. Ran into this same issue after doing a system restore because my RDP stopped working. Restore fixed that but knocked out the main network printer we use. I tried removing/re-adding it to no avail. Downloaded drivers from mfgr and installed them, no luck. Thank you very much for your help. It worked! !